At Mason Dental – Cosmetic & Family Dentistry, we are blessed to be able to serve our patients in the Grapevine, Southlake, and Keller areas. To show our love for our patients, our community, and the world, our team is committed to giving back and doing good any way that we can. There is always something you can get involved with at our office that will make a difference to someone in need. Some of the charities we support include Smiles for Life and Toys for Tots. We also participate in Halloween candy buy backs every year. Did you know that you can get your teeth whitened and help children around the world at the same time? Dr. Mason and his team participate in the Smiles for Life program. For Smiles for Life, we offer teeth whitening at a discount. The teeth whitening gel is donated by Ultradent, and our staff donates their time. When you participate with Smiles for Life, every cent of your contribution goes towards providing support for seriously ill, disabled, and underprivileged children, both locally and around the world. 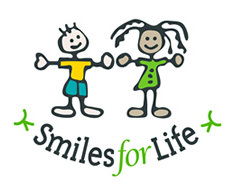 To find out more about how you can get involved in the Smiles for Life program, call us at our office today. Toys for Tots is a charity that provides toys for needy children around Christmas time. Participating in Toys for Tots is a great way to serve your community. If you have any toys you would like to donate, you can drop them off at our office in December. We are proud to support such a great charity, and to bring joy to more children every year. To support your oral health, and to provide a fun service for our troops, every year, our practice participates in a Halloween candy buy back. For every pound of candy you bring to our office, we’ll give you a dollar, and then pay to have that candy shipped to our troops. To find out more about how you can participate in these great services and others, call us at our office.